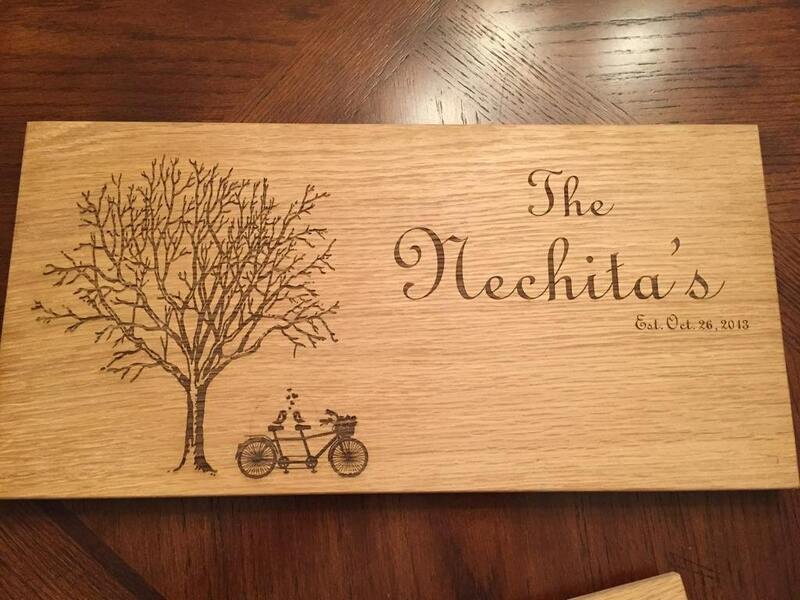 This beautiful solid wood cutting board will become a treasured keepsake for the special couple that receives it as a gift! 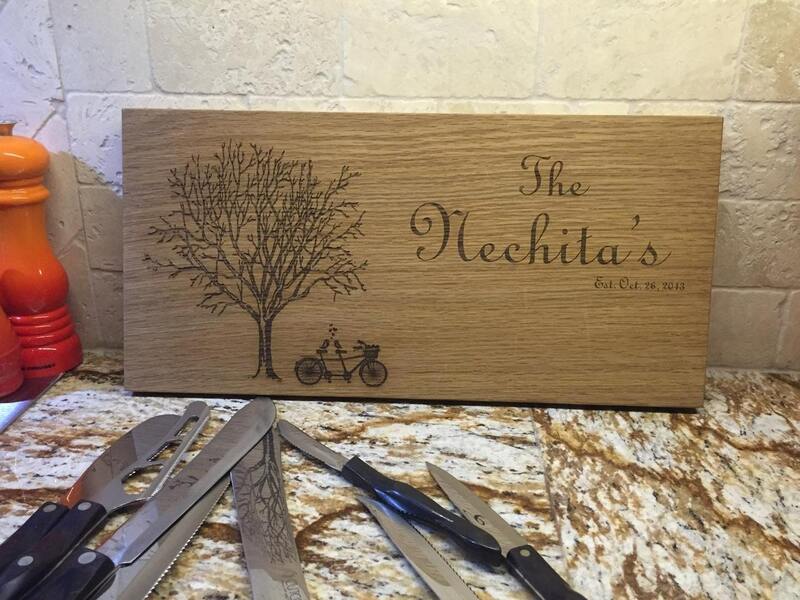 Our beautifully crafted and engraved cutting board is crafted by us from solid wood. We do not sell pre-made cutting boards. The designs are Wood Burned with our Laser engraver in the wood. They are NOT stamped. All edges are routed for smooth edges and a natural finish is added to each and every board on both sides. The finish is cured overnight. We have NO toxic finishes or glues on the boards. Each board can be customized as per your request.